crucifixion | This Thing Called Life . . . I have not taken the time recently to thank Patricia Knight for contributing so well to my blog. Her devotionals are very well written and I love her insights. I especially appreciate the way she weaves Old Testament with New Testament passages together to tell her stories. Thank you so much, Pat, for blessing us with the gift of your writing! What embodies more potential for beautiful memories, reflects a significant investment, and is absolutely dazzling in pure white? A wedding gown. Brides-to-be typically spend many hours shopping for their unique gown, the one dress they’ve dreamed about for years. Prior to the wedding, the bride protects her gown from prying eyes and from damage. Imagine the reactions of horror when red wine splashes on the front of the pure white gown the afternoon before a candlelight ceremony. Red, indelible stains on pure white; a shocking contrast. There’s no way to effectively remove dark stains on white satin and lace. The gown is ruined. Panic erupts throughout the wedding party. Every bride seeks perfection for her wedding day. And yet, her gown of choice must be sacrificed until an appropriate substitute is found a few hours before the wedding. Jesus left His glory and His throne in heaven where He was one with His heavenly Father, both of whom participated in every aspect of creation, to be incarnated a man on earth. Jesus Christ, the Son of God, is the purest person who ever lived. He is God. He is radiant and unblemished, flawless and undefiled. Wherever He taught on earth, Jesus lived the way He preached. Motives for His actions were holy. His heart was pure from lack of sin. As pure white as new-fallen snow, Jesus glistens as a pearl inside an oyster shell; as unblemished as a newborn baby’s skin, as brilliant as bolts of lightning flashing against an ebony sky. There is nothing on earth with which to compare Jesus’ purity, for He is heaven-sent. In the Old Testament, God’s temple laws required specific unblemished animals to be sacrificially offered regularly for individual sins. Spilled blood was God’s requirement to atone for sin. The animal must be perfect, neither spotted in color or physically defective. For centuries the covenant of sacrificing animals was performed by priests to redeem the people’s sin. Though it wasn’t the optimum system, it was God’s approved method until the promised Messiah, His only Son, was born on earth as the ultimate sacrifice for man’s sin, a permanent solution for the ages. 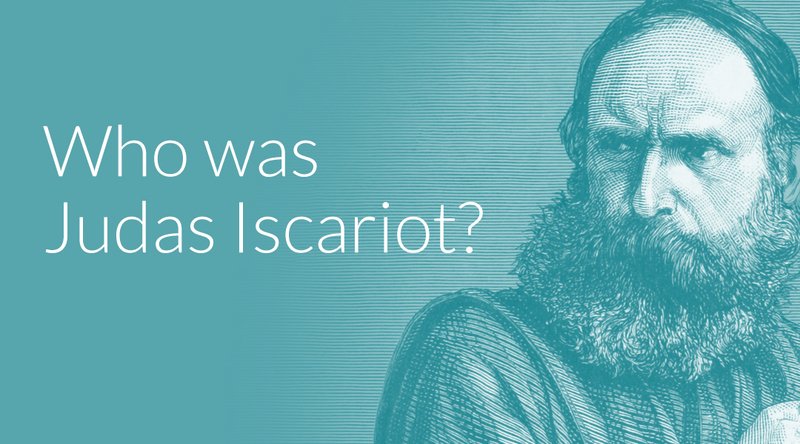 As long ago as 600 B.C., the prophet Isaiah foretold Jesus’ impending sacrifice. As the Messiah Jesus would shed His blood to forgive our sins. Isaiah provided a figurative account of the consequence of forgiveness: “Though your sins are like scarlet, they shall be white as snow; though they are red as crimson, they shall be like wool” (Isaiah 1:18). The offer of forgiveness is conditioned upon belief in the Lord Jesus Christ, necessitating a change of heart and lifestyle to conform to our Savior’s humble, loving ways. Death by Roman crucifixion was agonizing and atrocious, but no one has ever suffered on the cross as Jesus did. In addition to the horrific physical torture and pain, Jesus bore the sins of all people from the past, present, and future generations of the world. A perfect sacrifice for our sins, Jesus was pristine, pure, and sinless. the sinless one for the sinner. As Jesus bled and died, He did so that we may live a spiritually victorious life. Three days later Jesus arose from the grave, conquering sin forever. To man, sin may seem inconsequential, but God hates all sin. Sin creates a great and awful chasm between God and man. During crucifixion, blood streaming down Jesus’ perfect body was a vivid contrast to His innocent life, staining His unblemished body, and redeeming the sins of believers forever. Our sin cost God His very best, His own Son. Jesus offered Himself as the sacrifice required by the justice of God if man was to be saved from his sins. We are so precious to God, He offered the ultimate sacrifice—His only Son—to redeem our sins. Our Savior’s blood gushed from His wounds to stain a perfect, lily-white life without sins, to save the multitudes. Beyond the physical torture, Jesus assumed our burden of guilt bearing down on His already tormented body. The Roman officers dishonored our Lord’s innocence by striking and spitting in His face, verbally taunting Him, pulling his beard, and grinding a wreath of thorns down over His forehead. His back was flogged, shredding the skin that was pressed against the rough timber of the cross. By the time He reached the top of Golgotha hill, Jesus could barely walk. His body was weakened, dehydrated, bleeding, and mangled, already suffering greatly before He was nailed to the cross. Jesus’ glory will never fade; His power will never deplete. But His love will become ever more endearing. Jesus commanded us, “Store up for yourselves treasures in heaven, for where your treasure is, there your heart will be also” (Matthew 6: 20-21). Jesus commands us to consider our priorities on earth in view of life after death. Like wedding vows, Jesus represents purity, a major investment for the future, and a decision that will change the course of a persons’ life. There the similarities end. Christ is our living Savior, Lord, and King, who loves us, died and rose again to redeem us from our sins, providing the only means to secure life eternal in heaven. What is your individual response to such a love-saturated, free gift that entitles each believer to fellowship with our Savior in heaven for an eternity? Some brides pay exorbitant amounts for a perfect wedding gown. However, one drop of our Savior’s blood is more magnificent than the most exquisite gown intricately embellished with glittering diamonds.